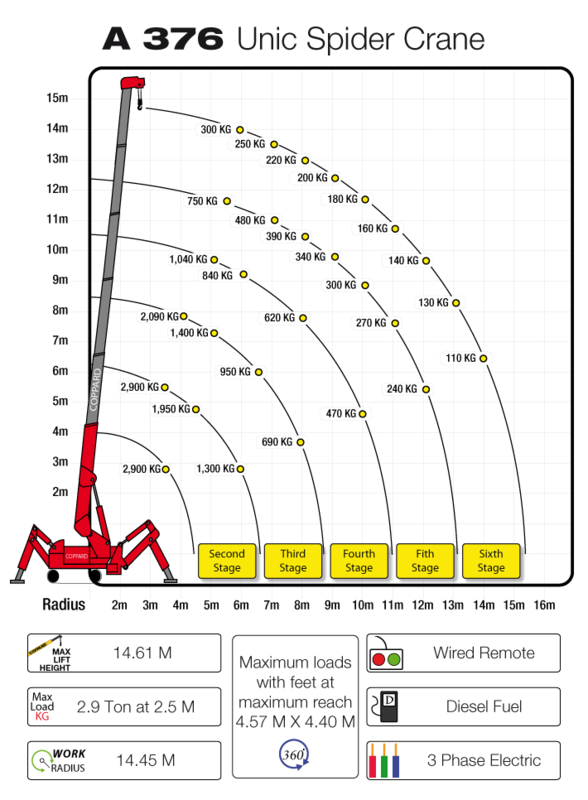 The UNIC 376 mini crane features a six section hydraulic boom to allow it a maximum working radius of 14.45m. This mid-capacity machine can be controlled either from the onboard operator's seat or from a distance using remote control. It is capable of lifting nearly three tonnes. Features include: full safe load indicator, boom speed reduction approaching overload, auto-stop and continuous alarm on overload, and control of outrigger extension from the operator's seat. 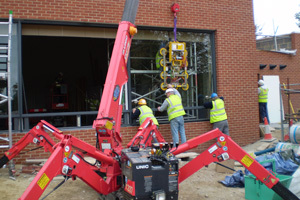 LORRY MOUNTED CRANES ARE ALSO AVAILABLE SEE LORRIES - (*** MIN 4 WEEK HIRE + SETUP CHARGE). (#02) - * Require 45/08 Leaf blower to inflate. (#85) - * Require 45/08 Leaf blower to inflate - All items minimum 1 week hire. (#57) - *Roof hook attachments available.